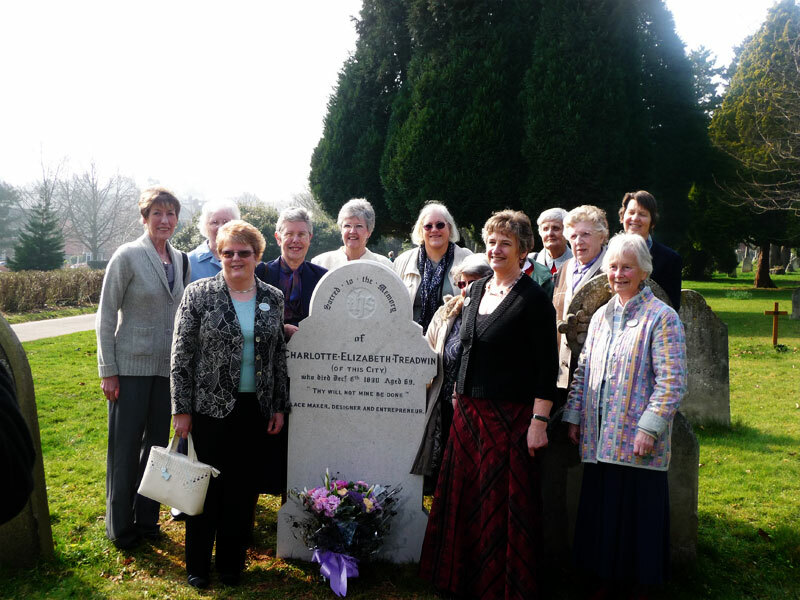 The Devon Lace Teachers would like to express their thanks to everyone who responded to the appeal to replace the headstone of Charlotte Treadwin. 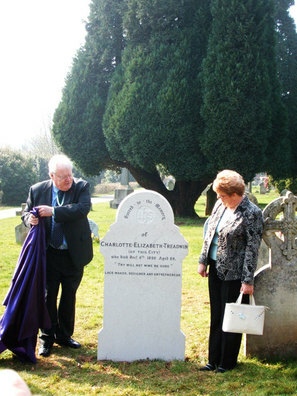 The culmination of the appeal was the unveiling of the new headstone by the Lord Mayor of Exeter on 18th March 2009 . Several members of the Devon Lace Teachers were present, together with representatives from The Lace Guild, Lace Society and Lace Circle, plus from various local lace groups, RAMM, and other interested parties. A small reception was held afterwards at 5, Cathederal Close, the original home and workshop of Mrs. Treadwin, now the "Ask" restaurant.